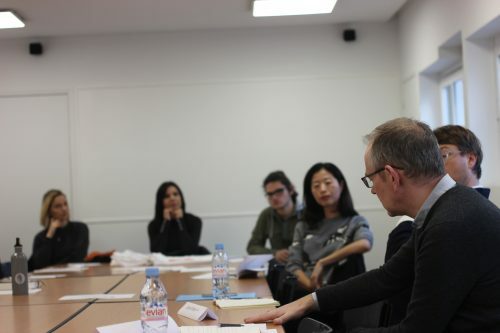 On Monday, January 28, 2019, the Paris Institute for Critical Thinking (PICT) and the Centre for Critical Thought, University of Kent (CCT) jointly organized a half-day seminar entitled “Critical Thought in and Beyond the University” at Reid Hall, 75006 Paris. 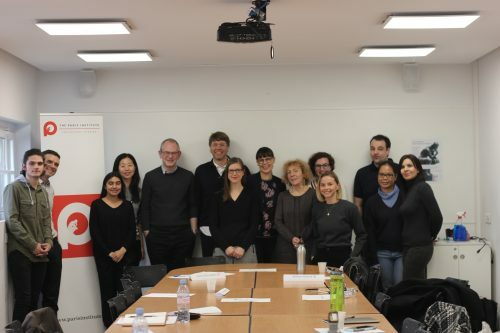 Over the course of four hours and in dialogue with a public audience, speakers from PICT and CCT explored the frequently fraught relationship between critical thought and higher education. The seminar was divided into individual talks, each followed by discussion. Iain MacKenzie (CCT) and David Selim Sayers (PICT) began the day by introducing the activities of their respective institutes. Following this, Willow Verkerk (PICT) gave a talk on “Transmitting the Legacies of Philosophical Thought,” discussing the establishment of philosophical canons and the need for critical engagement with these canons. The seminar continued with “Law and the Humanities,” a joint discussion by Maria Drakopoulou (CCT) and Connal Parsley (CCT) regarding the ways in which the humanities can be made relevant to the study of law, a field dominated for more than a century by approaches centered on the social sciences. After a coffee break, the seminar continued with “Critical Thinking in Area Studies: Three Models,” a talk by David Selim Sayers (PICT) on the challenges posed to the practice of critical thinking in the field of Middle East Studies, citing examples from the USA, Turkey, and Continental Europe. 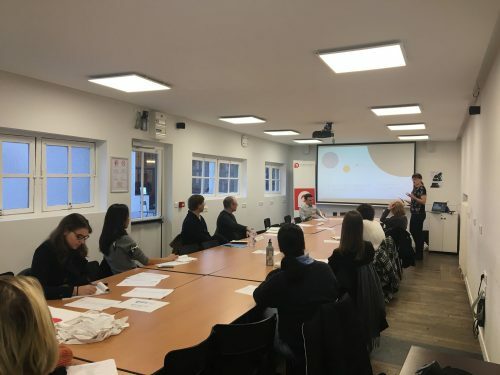 The final talk of the seminar, “The University in an Age of Control,” was delivered by Iain MacKenzie (CCT), who drew on the work of philosophers Michel Foucault and Gilles Deleuze to critique the university’s efficacy as a venue for critical thinking. The seminar concluded with a question-and-answer session in which the speakers engaged questions and comments from the audience. As the first PICT seminar of its kind, “Critical Thought in and Beyond the University” constitutes a milestone in the institute’s programming. 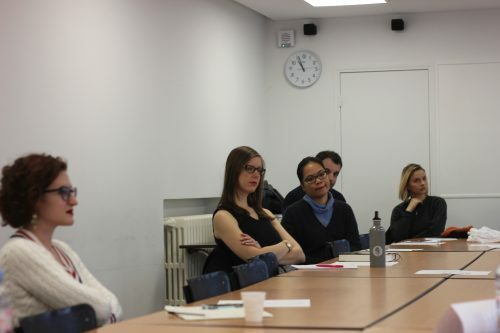 We would like to thank everyone who helped organize this event and took part in the stimulating debate.